As a beginner, be aware that being a WordPress affiliate is a bit different from being an affiliate for a physical product. The WordPress community is generally quite savvy. Your presentation, WP expertise and credibility all come into play. The good news is that with tens of millions of websites using WordPress, there’s endless potential for smart affiliates to capitalize on the need for expertise and solid recommendations. Your content should reflect your knowledge and authority on the subject and present the reader with useful insights or options. The more a reader connects with your content or feels confident in your skills and knowledge, the more likely they’ll be to trust your recommendations and follow your links. 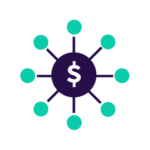 It’s always prudent to balance your affiliate links with other products so that people know you’re sharing knowledge and not just peddling links. Your WordPress affiliate links should be useful to your audience and flow naturally in your content. For example, if you already blog about e-commerce, you can write about customer convenience features like online appointment booking, and demonstrate how to easily incorporate a booking plugin into a WordPress website. If you write about web design, highlight a list of your favorite WordPress themes based on a specific design feature. While some affiliates like to go full-out with in-depth keyword research, others find the whole process daunting. At the simplest level try thinking about the search terms you would use to find information and incorporate those terms. Let’s take the FAQ plugin for example. Who would need an FAQ plugin most urgently? Asking these questions helps you set a framework for who you want to attract and why. What do I post about? How should I go about reaching people? The number one way you’ll attract people to your affiliate links is with content and promotion of that content. If you have a blog, website, YouTube channel or social feed that gets a lot of traffic then you’re halfway there, but if you’re just starting out, you’ll need to put in some legwork to be successful. Writing content that means something to you is the fastest and most engaging content to post. If you’re a small business owner on WordPress, you can speak to the time constraints of managing a small business. Add in your tip to create an FAQ page to reroute repeat client questions and add your affiliate link recommending the FAQ Plugin. If you’re a WordPress expert you can do a more technical post that highlights interesting features of the plugin and creative ways to use them. Once you have the content you’ll need to encourage people to read it. Think of where your audience is and post there: Facebook, Twitter, Instagram, LinkedIn, YouTube, forums, mail-outs etc. Do post other products/ideas in your posts, even competing products. This is vital for your credibility and the usefulness of the post. Do mention free trials. Etoile offers a money-back two week trial on premium plugins, for example. There’s no risk to buy. If it doesn’t work for the client we refund their money. This helps erase the stress of buying a product that may not be a good fit. Do engage with people who comment on the post. It adds to your credibility and the legitimacy of the post. If people disagree with your advice, thank them for taking the time to post and say you’ll consider their advice. Don’t link to the WordPress directory. Affiliate administrators can’t track your link that way. Always use your personal affiliate link. Don’t use dates on your posts. You want your posts to always appear current. Revisit and update performing posts every 6 months to a year. Rework and rename content that didn’t hit the mark. If you’re already an Etoile Affiliate – Thanks! We’re happy to have you on board. If you’re ready to sign-up and recommend great WordPress plugins that are highly-rated and well-supported by a full-time staff visit our sign-up page.